Since updating to v3 i have a problem with Bluetooth Controls in my car. When skipping songs sometimes the player starts to fast forward and doesnt stop until i issue a new skip command. Perhaps it is a problem with my car or im holding the skip forward button too long but in V2 i never had this issue. Is there a way to deactivate fast forward via bluetooth or make it less "aggressive"? I dont need it anyway. 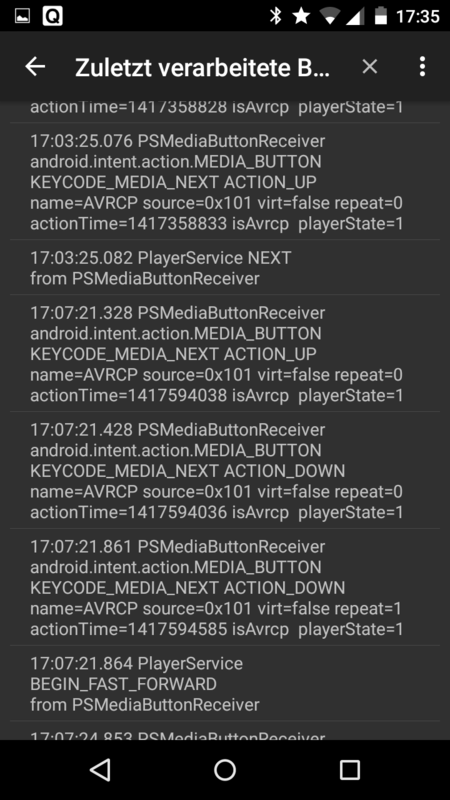 I looked into the last commands in the settings menu and found the problem. Sometimes my car only sends a button down command and no button up command. Is there anything i can do? I downgraded to Build 816 and skipping songs is working correctly again. So this must be a problem with the latest changes to Poweramp. 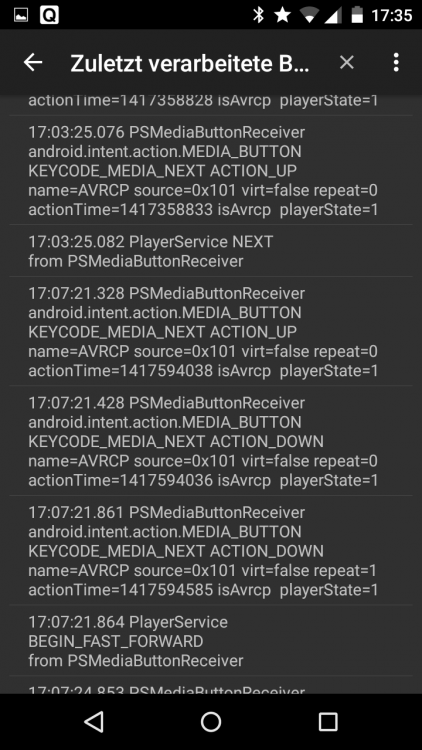 Perhaps the Android Auto support or improved single-button BT headsets handling on Pie? Bug still present in Build 823. Here is a screenshot of the Blutooth Command list. Reverting back to Build 816 fixes the Problem.